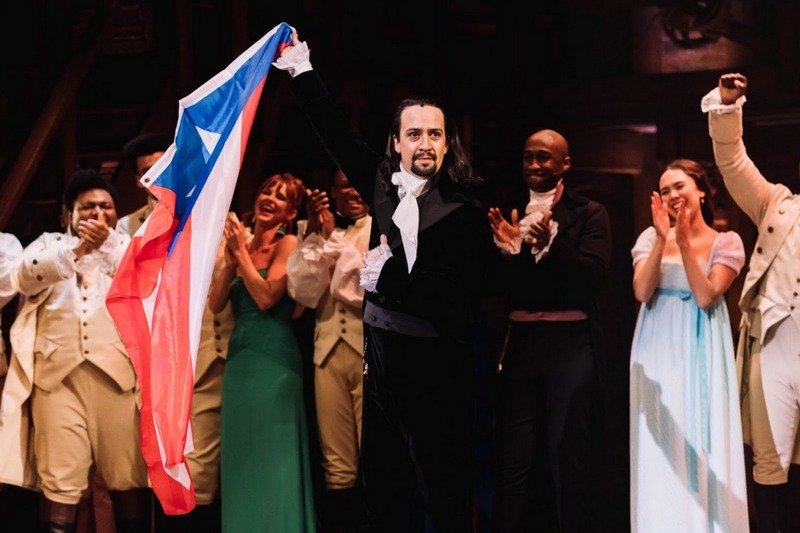 SAN JUAN, PUERTO RICO — Amid political controversy, Lin-Manuel Miranda’s “Hamilton” premiered in Puerto Rico at El Centro de Bellas Artes in Santurce on January 11. The multi-award winning writer reprised his role as Alexander Hamilton, right as “Hamilton” was named the top 8 highest-grossing Broadway show of all time. As lights illuminated the stage and fingers snapped for the opening number, the furious applause quieted. However, 21 bars into his rendition of Alexander Hamilton, the deafening standing ovation to Lin-Manuel Miranda’s entrance went on for almost a minute. The humbling gratitude and Boricua pride emanating from the audience shook Miranda’s core, as he held back tears and almost broke character. But the cast held in place until the band’s conductor, Alex Lacamoire, signaled the orchestra to play the next note. “Puerto Rico gave me more energy than I’ve ever had in my life. 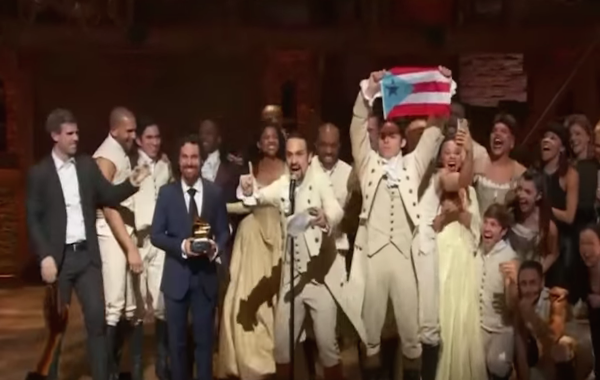 I never felt anything like that,” Lin-Manuel later explained about his emotions during the standing ovation. And for the next two hours and fifty minutes after the emotional moment, the show triggered laughter, uproars, cheers, and other countless tears. With lines like “Foes oppose us, take an honest stand/ we roll like Moses, claiming our promise land./ And? If we win our independence?/’Zat a guarantee of freedom for our descendants?” from the third number “My Shot”—in which he also raps “We need to handle our financial situation./ Are we a nation of states? What’s the state of our nation?,” Hamilton’s voice echoes that of a nation full of contradictions in the brink of independence. In the moment, it seemed almost befitting that Hamilton goes to the Caribbean, in the flesh of a Puerto Rican, reviving him in his parents’ native island; a Borikén with a rich history, plagued with political contradictions. The event also coincided with the birthday of two Caribbean independence crusaders: the Secretary-Treasurer, and Puerto Rico’s patriot, Eugenio María de Hostos. After the curtain call, Lin-Manuel Miranda addressed the audience after erupting in tears. 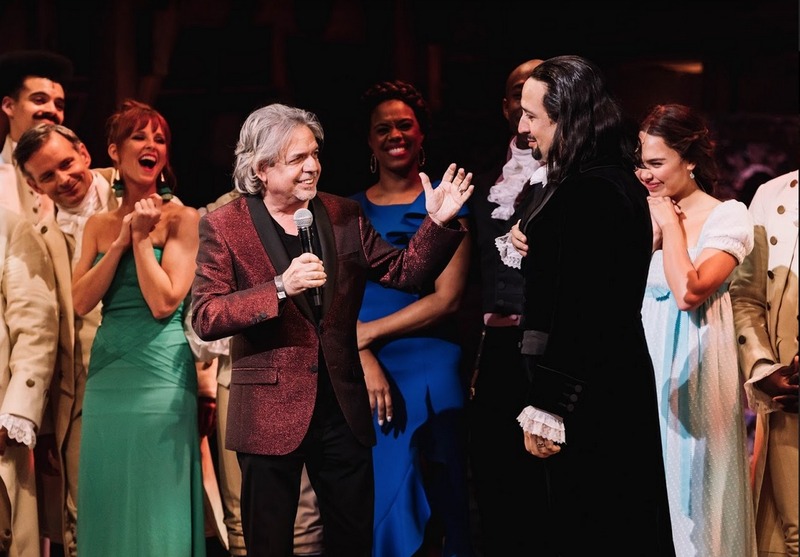 The company joined the cast on stage, followed by his father Luis Miranda Jr. who thanked everyone. Both father and son have been working hand-in-hand to use the show as a way to raise funds, and merge arts and politics for a mission. “Patria y familia son las cosas mas importantes (homeland and family are the most important things),” said Miranda Jr. The proud Boricua then waved his Puerto Rican flag while everyone exited the stage. Though over $1M had already been invested in the University of Puerto Rico theater’s renovation, the U.S. production team transferred the show to the current venue due to security concerns regarding possible show’s disruptions. Ultimately, the only manifestation happened at 5:30 pm by 11 members of La Sociedad Civil Estadista, a collective seeking international attention to proclaim statehood for PR. And while the kickoff might’ve been mired with news stories about the venue-change and confusion about possible protests, the show must go on—and that it did. 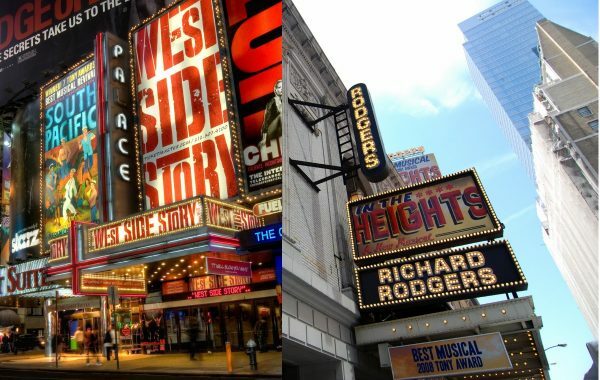 For those who’ve only experienced the musical theater piece through the cast album, the visual effect may have confirmed the worshipful reviews. Andy Blankenbuehler’s choreography —from acrobatic stomps to slow-motion pauses— propels the hefty musical into a breathtaking dimension. David Korins’s staged period tavern coupled with Paul Tazewell’s traditional costumes transport the audience to a time and place where dissidents may have plotted the revolution while downing shots of whiskey or pints of Sam Adams. Each theatrical component plays an intricate part in a musical about a rebellious youth writing and fighting for the future. The masterpiece’s soul is the music. The narrative and lyrical force blasts out from the hip-hop beats enriched with street talk, indelicate language, and eloquent rhetoric from real historical documents. The metronomic rhymes accentuated marching orders, despite being a chaotic time of war for independence. With a varied mix of jazz, ballads, reggae, gospel, spoken word, and elements of electronic music, Miranda and Lacamoire’s orchestrations honor the musical contributions of different popular genres brought forth by black musicians and composers. That is, with the exception of Britpop King George’s tunes. The songs represent a modern adaptation of texture, dynamics, and characterization, progressing over a ground bass. In short, the music represents a revolution inspired by political rap artists. The #AndPeggyTour’s cast stellar performance also earned ovations throughout the show. Donald Webber Jr. commanding on-stage presence turned Aaron Burr into a healthy balance between a poker-faced drill sergeant and a charismatic variety show host. In short, Webber’s Burr embodies a cool Obama smiling his way into the situation room. Brandon Louis Armstrong and Simon Longnight (who played the Marquis de Lafayette/Thomas Jefferson and Hercules Mulligan/James Madison respectively) lightened the politically drenched mood with caricaturesque hilarity. Isaiah Johnson’s George Washington resembled the loving uncle with a soulful gospel voice. Not a dry eye remained after his rendition of “One Last Time.” It garnered the second most voracious ovation. Another Puerto Rico prodigy, Broadway veteran Rick Negrón, embodied a dry and condescending King George with hilarious cluelessness. The Schuyler Sisters, —Julia K. Harriman (Eliza), Sabrina Sloan (Angelica), and Darilyn Castillo (Peggy/ Maria Reynolds)— reimagined sisterhood with their fearless solidarity, intelligence, loyalty, and confidence. Their strong characters prove that political endeavors may, at times, be as lustful as passionate love affairs. 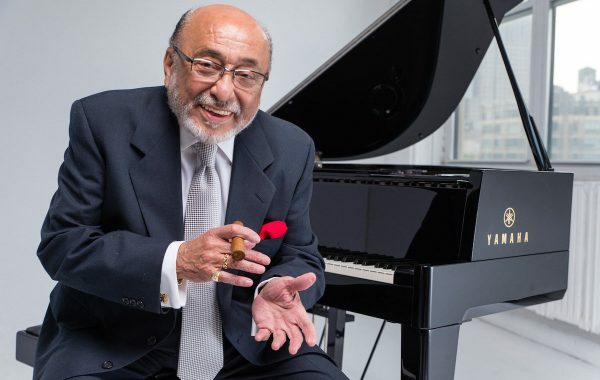 The Latino Victory Fund, an initiative spearheaded by Luis A. Miranda, Jr., Chairman of the organization’s Board of Directors, hoped to bring together arts and politics. 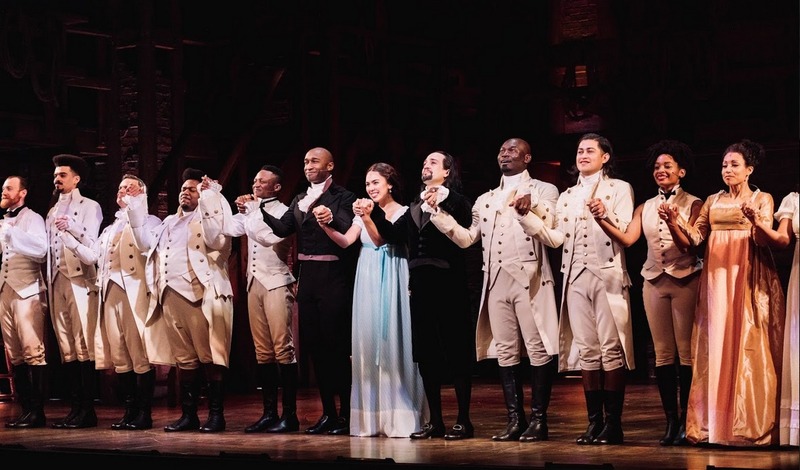 Over 30 members of Congress are expected to enjoy the show while on a scheduled retreat, which includes a reception with the “Hamilton” cast. While the hope was to bring attention to the current conditions of Puerto Rico, the presence of Congress in the island during a government shutdown also incited some negative critiques, especially from Republicans. While others noted, the members of Congress were bringing attention to the oft-forgotten island, particularly after Hurricane María. FACT: The shutdown began with the GOP running both houses of Congress. Trump has refused to negotiate. The Democrats were in Puerto Rico to see Hamilton and raise money for relief efforts – the ones the GOP didn't care about. “Whether they’re poetry groups, dance groups, theater groups, visual arts or painters’ groups or sculpture groups, they could go to Flamboyán to apply for grants that will come as a result of our efforts here,” said Seller. With these efforts, Lin-Manuel hopes to capture the world’s attention to a commonwealth neglected by the nation constantly oppressing it. When asked about Trump’s plan to take money from Puerto Rico to build a wall, Lin-Manuel erupted in a new version of King George’s song.